Fairytales and Fitness: Are the Disney Princess Races the Fairest of them All? 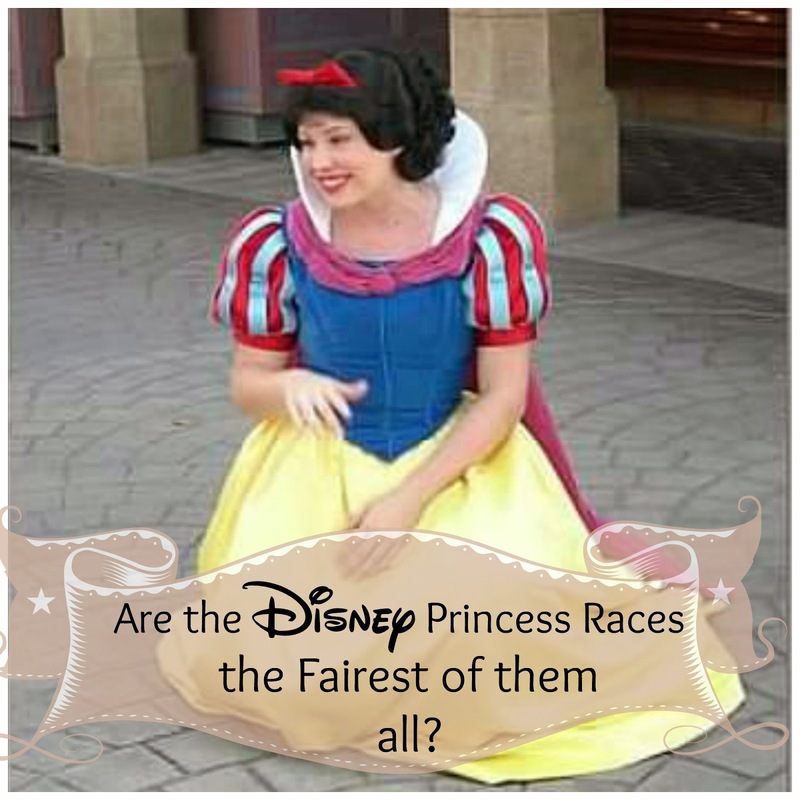 Are the Disney Princess Races the Fairest of them All? So today our Thursday Thoughts are all about the Princess Races that we patiently waited to register for! 2. I think everyone who tried to register on Tuesday would agree that there was definitely something wrong with the Active.com site. I am not exaggerating when I say my sister and I (both at separate computers) filled out the race registration at least a dozen times before it went through) Of course when 25,000 plus people are on a website all at once, there are bound to be problems. I am the least computer savvy person when it comes to computer programming but wouldn't you think that a site that invites SO much traffic would have their crap together and make sure it can support the traffic properly? Again, I don't even know if this is possible, but its a thought. 3. I feel awful for the runners who wanted to sign up for this race but couldn't due to a lack of not being quick enough on the computer or basically just because the site had given them so many problems and they just couldn't get through in time. We were on the registration site at exactly noon and it took us an hour and 20 minutes before we were registered. When we were done, the GSC was 95% full! I couldn't believe it! 4. We signed up for the WDW Marathon and Tower of Terror Races earlier this year and had no problems. I do believe this Princess Race is the most popular! So is there a better solution to all this Princess pandemonium? ( I was thinking about this on my run yesterday). *Register by last name: If your last name begins with A-M you register from noon till 3pm. ( only so many spots would be allotted for these folks). Then runners with the last name N-Z would register from 3:30 -6:30pm. The same amount of spots would be allotted to them too. Of course this like any other solution could cause some drama. For example, My sister has a last name that begins with a "B", so she would register early. I would have to wait till round 2. If she got in and I didn't, that would turn our girls trip into a solo trip for her. Which to be honest, could have happened this week anyway. *Take turns: Now this one is really a long shot, but instead of letting the same people register year after year, what if Disney said you can't do the same race 2 years in a row? Meaning if you did PHM or GSC last year, you would have to sit it out this year and let others participate. If this meant that other runners who have been dying to run this race and could not get in would be allowed to have their chance at running, I would gladly give up my spot! 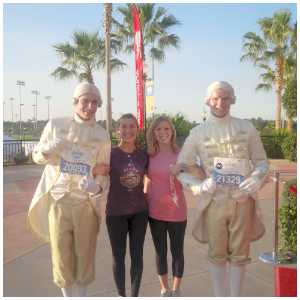 This would just give me more incentive to try a different Disney race I hadn't run yet. I suppose this would cause a ruckus no doubt and we would have people signing up under different names. Of course you would have to show ID to pick up your race stuff, but still I wouldn't see runners appreciating this new rule! So, congrats to all of you who survived the first step of Princess pandemonium, registration. Do you think there are any other solutions to this problem, or is it what it is? Meranda, google just did something weird, no idea if you got my response or not! Anyway, it was crazy, I didn't have any trouble b/c I got in really fast, but quite a few of my friends did! No idea what the solution would be, but it makes me want to get an AP. LOL. I'm so glad you are doing it again, we have to meet up for a picture!! This isn't the first time Active has had a problem with race registrations. I agree something needs to be done to either fix their infrastructure to allow for that kind of volume or do a tiered approach. Maybe its by finishing time, maybe its lottery? I don't know the answer, but clearly 90 mins of trying to register for a race is unacceptable and not feasible for many people during the work week. I'm glad you both got in though!! Thank You. This was actually the first time we've had trouble with Active. Glad to hear you had no trouble. We will definitely see you! Active needs to get it's crap together. Races are getting more and more popular, yet Active is either bogged down or flat out crashes. It's no secret when the BIG races open but the problems persist. I think it's time Disney created their own registration site to avoid at least one drama aspect. I wonder why Disney hasn't created there own registration site? Statisically, there are more people with last names A-M, than N-Z, so doing that wouldn't be fair to the people at the beginning of the alphabet. Taking turns and not registering every year would upset the people that want to be perfect (which I really think is a bizarre concept, and all you get is a special lanyard/ribbon after 5 years). I like that idea, but it would really not be ideal, as many people like to challenge themselves on the same course to see if they can do better. Me, I like to do different races, there is nothing like experiencing a course the first time. But lots of people like to the familiarity of the same course. A lotto system is probably what is needed to truly make it fair. Big races like Boston, Chicago and Marine Corp all do a lotto system. The question becomes do they do a true lotto, where everyone has the same chance, or do they do a tiered lotto, where returning people have priority (but that doesn't bode well for the first timer), do they do it by time, do they do it by charity? Do they allow DVC and AP and Visa holders first dibs at the lotto? There are lots of factors that could decide it. I'm glad I didn't even try to register for Princess this year! I think which ever method they choose, some runners are going to be unhappy. I'm certainly happy we got in, so I'm not complaining. I work as a web administrator and yes, there are ways to be prepared for so many people all at once. With the growing popularity of runDisney races, if Active will continue to handle the registration, there are ways to prepare for the loads of people trying to register in the first couple hours. But I can totally see runDisney becoming a lotto like a lot of the other more popular races. Till then, others can always run for a charity. I did for Tink this year and it was so much fun raising the money and telling people what I was doing. It's highly recommended. That's great that you ran for charity last year! I am wondering if they would consider a lottery, everyone has x amount of days to sign up and then you randomly get in. Of course I think they would need some kind of BIB transfer policy for this as well. Surely they anticipated this and well they could have been better prepared, that is crazy how long it took you to register. I read somewhere today LOL how to sign up in Charity Groups or via Travel Partners....which is still an option. I don't love the lottery option, but at this point, I think its needed.....they are taking enough of your $$ now over an hour of yor precious time to sign up... Insanity. Congrats on getting in though! Thank Julie! I personally think they should allow bib transfers anyway ( done properly of course). Thank you for reading our blog Zianha! Until people get so frustrated that they stop registering for Disney races, Disney really has no reason to change things. They want the anticipation, they want everyone revving each other up on on social media. They want an immediate sell-out because it encourages exactly the same thing the next year. All that said, it seems like at this point they could develop their own registration system and not rely on Active. It may be cheaper just to have a vendor take care of it, but if they took it on themselves, they could do things like bib transfers and charge for it. But again, until they see a drop in the interest, they really don't have any motivation to make big changes. All big races that have a first come basis have issues like this. I remember when I registered for MCM, I think it was 35,000 marathon positions sold out in pretty much 2 hours. It was the same thing, hitting refresh, getting through an application only to get kicked out again before it would submit taking me 30 minutes just to get a good connection. So frustrating! My favorite marathon St. George, does a lottery, and so did NYC and I believe a few others do them. The only way to reduce the bogged down thing is to convert over to a lottery. However, the good thing about lottery's are you can register your group together, so you either all make it or not. I know some lottery's if you miss getting in 2 or 3 years in a row, then you have a guaranteed entry for the next. Guess, it just depends on the race, and since they know they will sell out, I don't think it is really something they will care much to work on unless it causes them trouble or extra work, because they know they'll get their money, and they'll have more happy people than upset. Active.com does have a large server, probably the largest for races, so any other server option would likely just cause a bigger mess. But that is awesome that you guys got in, YAY for you all!!!! Thanks Kristy! That's interesting about the Lottery. I did not know that you could register as a group. I would have definitely had worried about one of us getting in and one of us not..
Oh my gosh, it was madness! I'm pretty sure I've heard the marathon weekend is the largest of their races, so I'm surprised that the Princess registration was such a horrendous experience. I know for purchasing tickets for other events (such as Lollapalooza), where EVERYONE is on the site at once, once it opens up, you click the purchase button and it puts you into a line - this keeps the site able to handle all of the requests at once. I know for Princess they put me in a 'line' a couple times, but the site was still having issues because I filled out the form (for the 15th time), and still got an internal error. Active should be able to handle the amount of people, after all, they know it's coming. I know it can be a pain, but pretty sure it's possible. Anyway, it took me about an hour and a half to register (and I was ready to go at 11:50). It was such a stressful, frustrating, annoying 2 hours! Haha. I almost gave up, because I wasn't sure I wanted to spend all the money after the registration process was such a horrible experience. I think it may be a one-time race for me... though I'm sure come February I'll want to do it again (it's like childbirth, you just forget the pain and remember the amazing experience you have afterwards haha). Your situation for PHM sounded much like ours! I can't believe how simple registration was for marathon weekend though compared to this. Haha, look what you have to look forward too! I only heard rumblings about what happened with registration this year, but I can't believe it took you over an hour to register! That is nuts. I think either way you decide to do registration, someone is always going to complain or feel slighted. runDisney has to make tough decisions knowing no matter what they do, they are going to upset someone! Now, if they launch a Paris race and there are issues like this, I will be that upset someone b/c I've been dreaming of that race for SOOOO long! Yes, you are right! Paris might be coming next year, no? I think a lottery is an ideal solution frankly. So MANY have gone that route - I think most, if not all, of the Majors use a lottery system. And, a couple that I'm familiar with have ways around - like for MCM if you do their 1774 run in the spring you bypass the lottery and can do MCM. Houston lets you have early registration and no lottery if you've done their events 5 or more times...there are ways to do it and keep people happy. And I know that Houston lets you defer up to a week before the event - for no charge and I think you can defer MCM as well. And they aren't the only ones! Congrats on getting though the hassle and getting your spots!! Thank you Anne. It seems like those other races really have their stuff figured out! Congrats on both of you getting in! When I saw your tweets yesterday, I was worried that only one of you would get in. While your suggestion of splitting the times by alpha would help alleviate web traffic, there are going to be those who don't bother to pay attention to the suggested time frame. I'm beginning to wonder when runDisney will move to a lottery system, which so many other races have moved to. While some may be upset that some people will get in randomly and others won't, a lottery seems to be the most "fair" way to go. In order to ensure that family members all get in together, runDisney could implement the group system that CUCB uses for the Cherry Blossom Ten Miler so that all people in a group either get in or don't get in. Thanks for your concern! I do like the group idea! Active needs to do something about their high amounts of traffic on certain registration days. 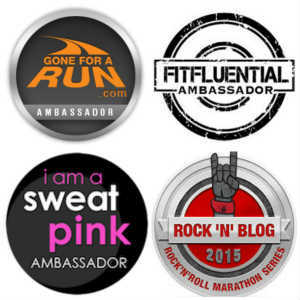 I honestly don't think it's a runDisney issue that needs to be fixed, but instead an Active.com one. Congrats to you both on getting in! Thank Lauren! Yea, it was Active.com for sure. Yay! I'm so excited that you will be running your first PHM next year! All the Active.com drama is what lead Marine Corp to turn into a lottery 2 years ago and Chicago last year. I hope that doesn't happen to Disney too. I hate waiting on lotteries and praying all my race buddies get in. The way I see it, its almost as if it is a lottery already ( but not technically). Either you get it, or you don't so I don't understand the whole lottery thing to be honest. I don't like the lottery system because groups have more chances to get in than someone who doesn't have a running support system. I had no trouble signing up, it took 5 minutes right at the start. That's good that you were able to sign up with ease. That's the way it should be!